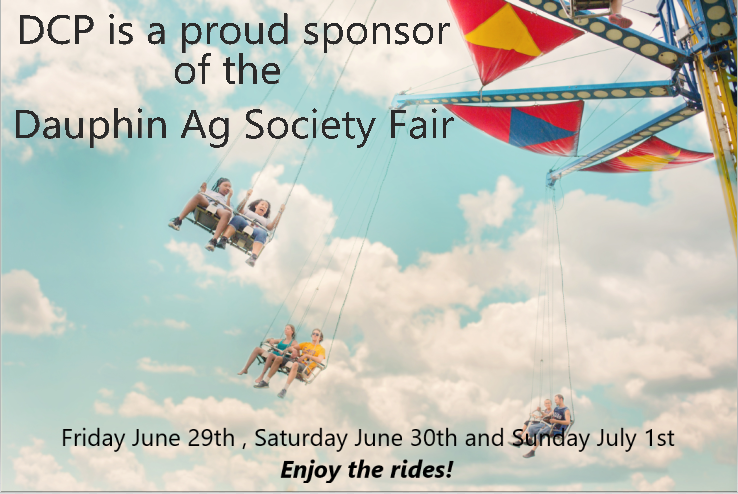 The Dauphin Ag Society Fair is coming to town Friday June 29th, Saturday June 30th and Sunday July 1st, 2018. DCP continues to be a proud sponsor of the Dauphin Fair. Get your kids ready for an entertaining day on the fair rides! DCP - making life better by supporting our community.